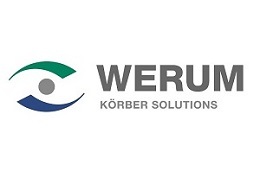 Werum IT Solutions is the internationally leading supplier of manufacturing execution systems (MES) and manufacturing IT solutions for the pharmaceutical and biopharmaceutical industries. Its out-of-the-box PAS-X software product is run by the majority of the world’s top 30 pharmaceutical and biotech companies but also by many mid-sized manufacturers. Werum’s manufacturing IT solutions help pharma manufacturers to increase efficiency, improve productivity, and meet regulatory requirements. The range of projects includes global MES programs with multi-site rollouts all over the world as well as single-site solutions in India and other Asian countries.